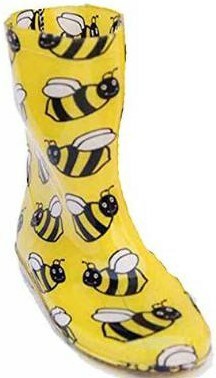 In rainy weather, a fun and funky pair of wellies can really help to brighten up the day. Colourful wellies are the best kind, and in a country where rain is a near daily occurrence they are definitely needed. Sometimes a pair of good, comfortable, and colourful wellies are all you need. When on the search for a pair of funky and colourful wellies, the first thing you will want to look for are fun and outlandish colours. 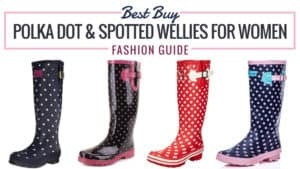 There are so many brands offering a great range of stylish and funky wellies. However, looks aren’t everything - even if they are the key aspect. You will want something reliable, durable, and comfortable to wear. 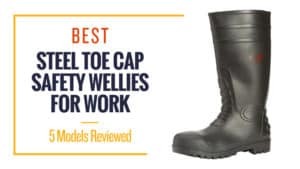 They should keep your feet warm and dry, as well as being practical for the job you bought them for. 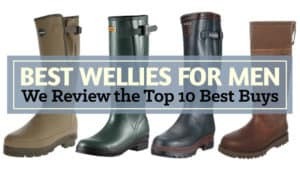 This article will look at the best funky wellies you can buy. 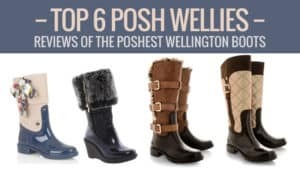 Whether you are looking for something expensive or cheap, there is sure to be a funky welly here for you. 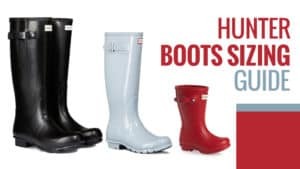 Hunter is a popular brand of welly that has made itself into a household name. Worn my people across the country it is a trusted brand with a lot of cool and funky styles for people to choose from. 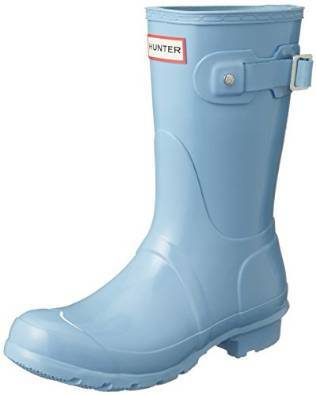 In fact, the Hunter Original ankle wellies are just that. 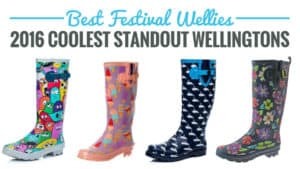 Available in an incredible range of vibrant and fun colours, these wellies are definitely some of the funkiest around. Priced at around £55, these affordable boots have reviews that say it all. These rubber boots have a soft synthetic fur lining to help keep your feet warm in colder weather. They have a comfortable fit that still moulds well with the leg despite them being ankle boots. Ideal for festivals, the Original ankle boot has a range of colours that really stand out. The soles have good grip thanks to the thick rubber sole. The tread is also very good, and the boot itself is waterproof. The gloss finish adds to the stylish look of these funky ankle wellies for women. 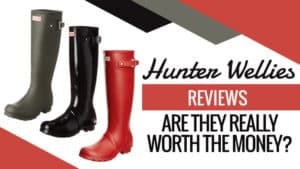 However, these boots can be a bit of a tight fit around the foot area, especially as Hunter are known for the narrow design of the feet of their wellies. There have also been a few instances where the boot has leaked or torn after a few months, but these are not common cases. The Hunter Original ankle boot has a fun and funky design that makes it ideal for walking the dog in style or standing out in festivals. They have a comfortable grip with a synthetic fur lining to keep feet warm and dry during harsh weather. While they can be a little tight around the feet, they also have a moulded fit for added comfort. 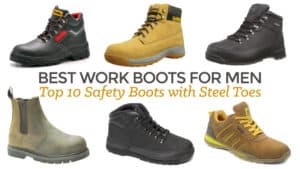 These boots come from a trusted brand, and the number of people wearing them shows just how trusted they are. Best for: general use, festivals. Q: Do these wellies come in shiny and matte? A: Yes these hunters come in all colours with the choice of shiny or matte, depending on what your prefer. Joules are known for their stylish and outlandish designs on wellies, crating patterns that really stand out. 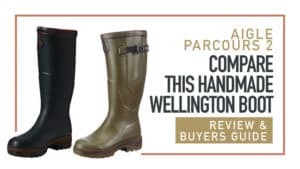 While they primarily focus on equestrian gear and clothing, their Wellington boot range is as wonderful as ever. 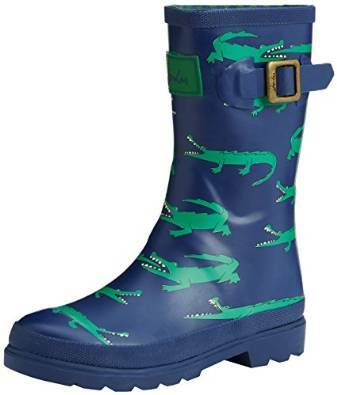 The Joules printed wellies with crocodiles are probably one of the best pairs of boots available. These funky wellies for kid﻿﻿s are stylish, comfortable, and above all they look great. Priced at around £15.90, you won’t want to miss these cheap funky wellies. These Joules wellies for kids are made from rubber and completely waterproof. 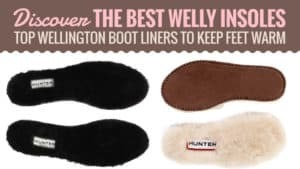 They are comfortable as they have a good fit and come with a soft textile lining to help keep feet warm during the winter months and harsh weather. They are easy to slip on and off. The sole is made from gum rubber and has excellent grip and tread to help your child stay upright in slippery conditions. They have an elastic calf area to make fitting into these boots that little bit comfortable. The crocodile design is a fun and funky feature that they are sure to love as well. However, it has been noted that these wellies can feel a little heavy on children’s feet, and the sizing is not particularly accurate. It is important to make sure you get the right size for kid’s feet so they don’t get uncomfortable. 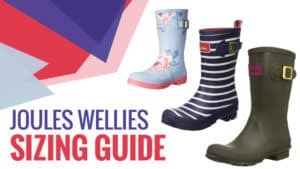 Joules are a well-known brand that provide great quality and durable wellies to kids and adults alike. They have a comfortable fit as well as a fun and funky design that is sure to please whoever is wearing them. They are affordable, and one of the cheapest funky wellies for kids on the market. 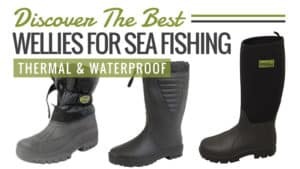 While some have found them a little heavy, they are long-lasting and sure to keep little feet dry when splashing in puddles or exploring muddy areas. If you are searching for a cheap welly for your adventurous children, then you might want to give the Busy Bee bumblebee boots a go. These cheap funky wellies for kids are fun to wear and have a great design that is sure to keep them happy for hours. Priced at around £7, the price is incredibly low for fast-growing feet so you don’t have to worry about expensive replacements as they grow. These synthetic boots are really affordable and so fit within everyone’s budget. 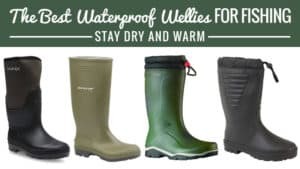 They are comfortable for children to wear and are also waterproof, meaning that they can play in puddles all day without the risk of wet feet. The boots are also flexible and allow the boot to move with the feet of the child to ensure they are not hindered by the footwear. The fun bumblebee design is sure to keep them smiling for hours while they play outdoors. However, it has been noted that these boots can leak or tear after a few months of use. They can also rub against the calf and irritate sensitive skin. These boots are fun and funky as well as comfortable on your child’s feet. They are waterproof and allow for flexibility when running through puddles and mud, and the sole is relatively good. If you are looking for something cheap and cheerful that looks fun and keeps feet relatively happy, then this is the boot for you. 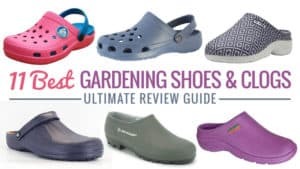 Best For: cheapest price, general use, puddle jumping. While Joules are known more for their equestrian gear than anything else, they also have a fabulous range of wellies for men and women. 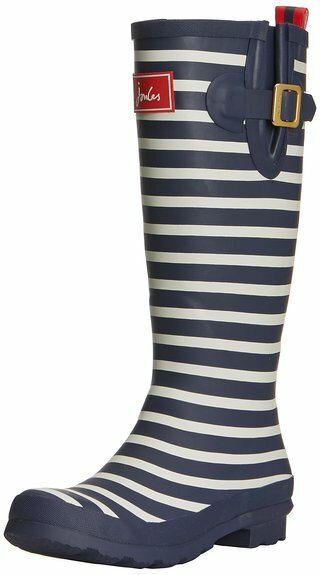 The Joules French Navy stripe wellies for women are funky, fun, and comfortable – three things that help to make a good and successful boot. With prices at around £30, it won’t cost the earth for these either. 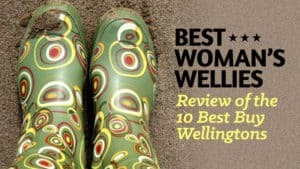 These funky wellies for women are incredibly comfortable, and the textile lining inside the boot really helps to add to both this and the warmth of the boot. They are made from one piece of rubber, making them more durable and long-lasting than those that are made from multiple pieces. The sole has good grip and tread, making these ideal for muddy dog walks. 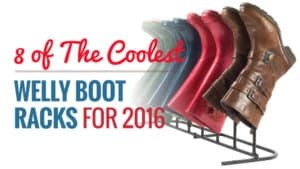 They have an adjustable top to accommodate large calf sizes and give the boot a more comfortable fit. The stylish design is more than enough to cheer up even the grey walks, and the waterproof welly is sure to keep your feet nice and dry. These boots can be a little tight around the feet and ankles, which can make them difficult to put on and take off again. These stripy wellies from ﻿﻿﻿Joules are comfortable, a good fit, and incredibly durable. 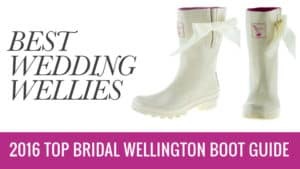 These funky wellies for ladies are very affordable as well, so you won’t be spending the earth to get yourself a pair of these. 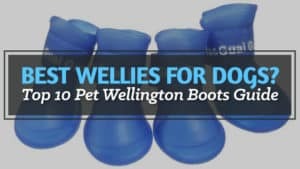 With a good fit for larger calves and a generally nice feel, these boots are ideal for standing out on dog walks or even at festivals and will keep your feet protected from the elements. Best for: walking, festivals, general use. Q: Whats the width of the calf? 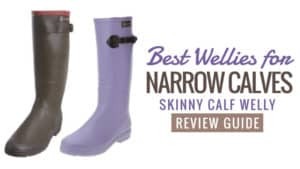 A: The width of the wellies depends on the size you need but as a guide each size goes up 1 inch. so a size 5 is 14 inches, size 6 is 15 inches and so on. A brand that is well known, Barbour brings a little bit a Scotland to all of its customers. Their wax jackets are probably their most signature piece of clothing, known for their fantastic quality and general warmth. 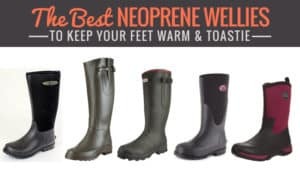 However, they also have a small range of wellies. Most of these are standard in colour, except for one pair. 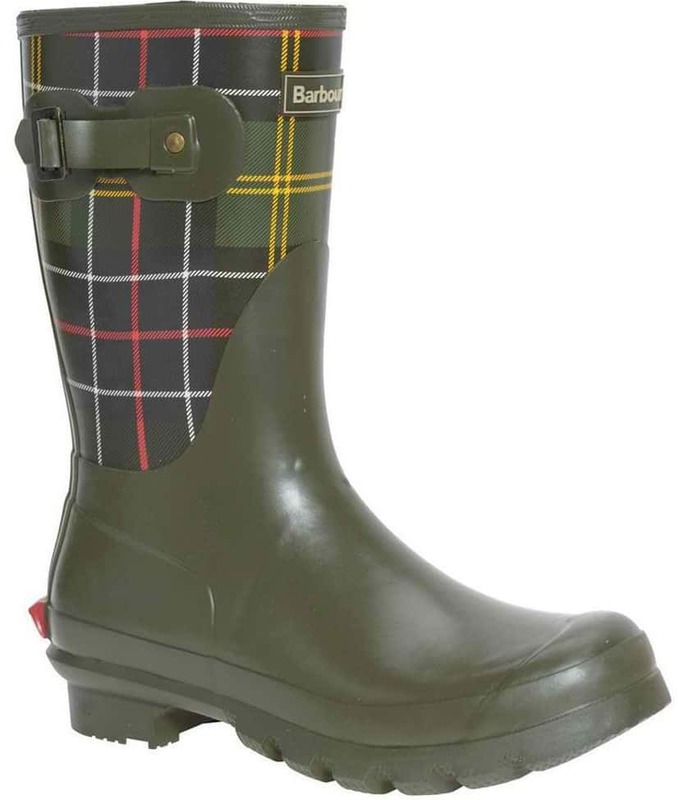 Priced at around £59.95, the Barbour short classic tartan wellies for women really express their Scottish origins. Made for women, these funky ankle wellies may be short, but they certainly don’t lack style or uniqueness. These funky wellies feature the signature Barbour tartan print, one that can be seen on a number of their jackets and other clothing. Made for days out and dog walking, these wellies ensure that your feet experience maximum comfort, and the textile lining adds to that. Made from vulcanised rubber, the boot is very durable when used generally, and the thick, non-slip sole will protect your from potentially slippery situations. The tread is excellent, which contributes to the overall excellent grip. 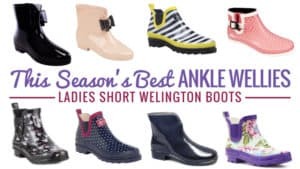 The short boots gives a wider calf area, allowing either for those with wide calves or bulky jeans to wear these funky wellies for ladies in comfort. However, the sizing can be a little off at times so it is important to ensure you are definitely purchasing the right size before you order. It is also lacking in colour a little and is not as exciting as other brands. They are also not recommended for extensive use, and should only be worn for general use. The Barbour short classic tartan welly for ladies is stylish, comfortable, and funky. The tartan print is quite unique and the boot has a good fit around the leg and calf area, making them wearable by those with thin calves and those with wider ones. 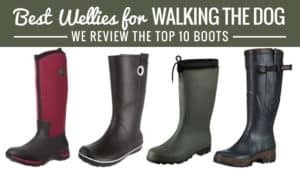 These boots are reasonable priced and ideal for festivals and general use walking the dogs, or getting around in muddy conditions. Overall, a good boot from a good and well-established name. 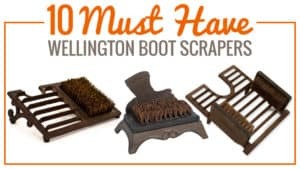 Best for: women with wide calves, waking, general use. 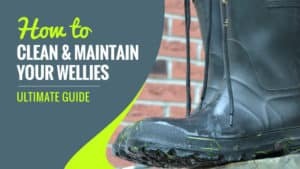 Finding funky wellies for men can be really difficult, and that’s because there are not a great deal out there compared to women and children’s wellies. SoleM8 has created a boot in the same style as the frog boots so many wore as children and have made it in sizes for men and women. These wellies are fun and funky and come in sizes for men and women at only £30, which is great considering how much a lot of brands cost. They are comfortable, stylish, and sure to stand out. Probably one of the best buy funky wellies out there, these boots are sure to dazzle and amaze. These frog boot are comfortable and made from rubber with a cotton lining for extra warmth. They are a standard fit and height boot with a superb frog face design on each foot. While the lining helps you to stay warm, it is advised you wear a pair of socks in the winter time to ensure they stay toasty. The soles have quite a good grip with a standard tread, so it’s harder to fall over in the mud wearing these. They are great for festivals and general use and are sure to make you stand out from the crowd. Sadly, these boots to not accommodate wider calves and have a slightly narrower ankle than most boots. There have also been a few instances where the sole has worn after a few months, but this is uncommon. 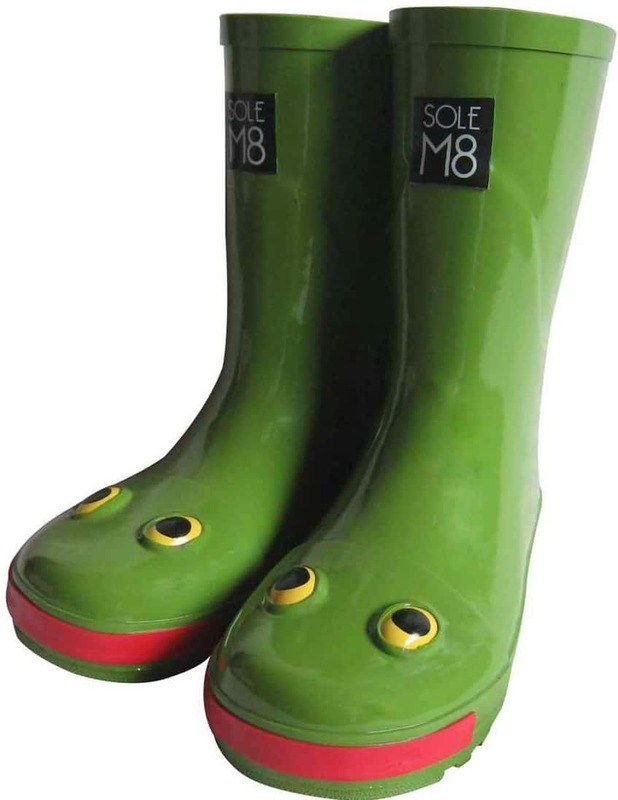 These frog wellies from SoulM8 are the perfect boots for reliving childhood memories of frog boots and splashing through puddles. They are comfortable and warm, and although it can get a bit nippy in winter, it’s nothing a pair of socks can’t fix. 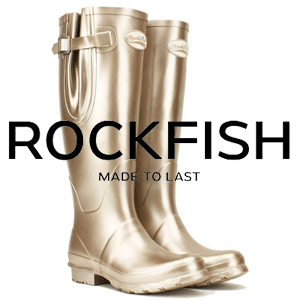 These are great and stylish wellies with a funky look for men. It’s really hard to find a good pair of funky wellies for men, and with these you have both. Good quality, a comfy feel, and excellent design make these top quality boots and ideal for general use or festivals. 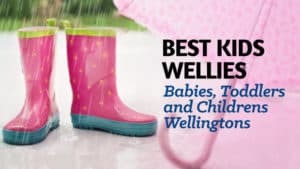 Kids love colourful wellies and clothing, and Kidorabe produce just that – a great range of fun and colourful wellies for kids. 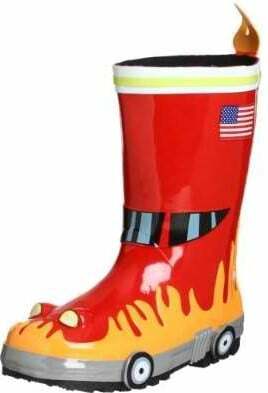 The fireman wellies are great and have really vibrant colours that are sure to keep them smiling and happy for hours. 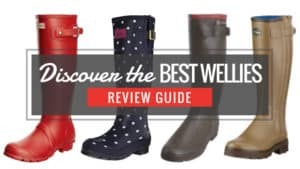 With prices at around £12, these boots don’t cost a fortune and the kids love them – take a look at the reviews for these funky wellies. 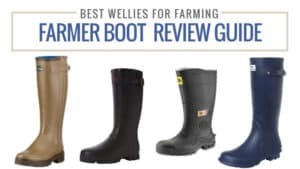 These boots are comfortable and affordable, two important things when buying a pair of wellies. A fabric lining creates a softer inside for their feet while leaving enough room for socks in cold weather. The boots have little lumps on the bottom that look like wheels and even have little lights on the front. They are fun to look at and even more fun for children to wear. 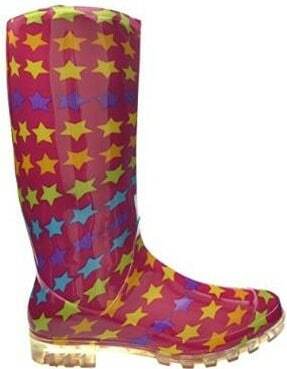 These colourful funky wellies are just what every child wants to look the best and show off to their friends. With a good sole that has a nice grip and tread, these wellies are ones they will not want to take off. There have been a few occasions where the pattern has worn after a few months and tears have appeared at the back of the ankle. They have also been noted to rub against the leg occasionally. Kids love colourful clothing and shoes. The Kidorable fireman boots gives children exactly what they want – colour and boots that look like something they enjoy. The fact that these boots even have little (non-functional) wheels and lights encourages their imagination and can make laytime even more fun. With a comfortable fit and a waterproof boot, these are perfect for playtime and splashing in puddles. 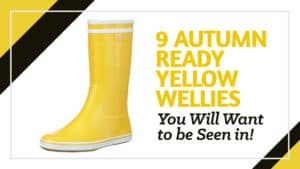 Your child may never want to take these funky wellies for kids off. Hunter is a well-known and popular brand among men and women alike. Trusted and worn by many, they are often seen at work, on dog walks, and at festivals. 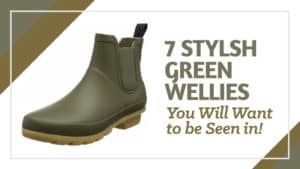 However, when it comes to men’s boots the colours are not particularly vast, aiding the difficulty in finding a pair of funky wellies for men. 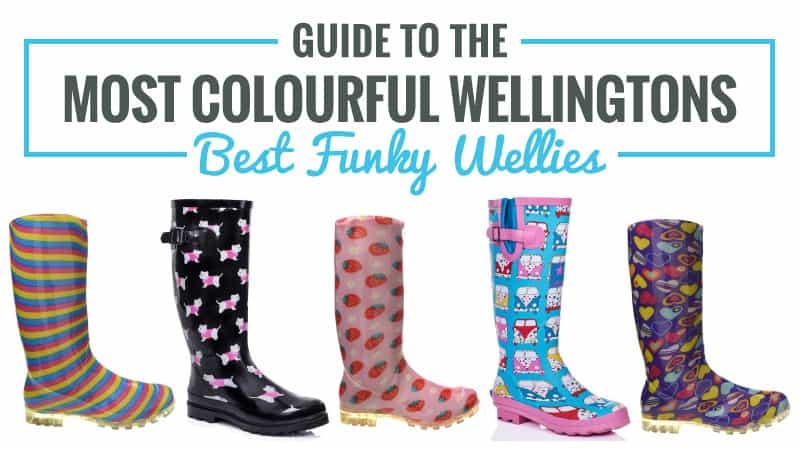 However, if you aren’t into bright colours, then these funky wellies are perfect for you. The ﻿﻿Hunter ﻿﻿Original in dark blue is priced at around £95 and offers a good combination of style and comfort. 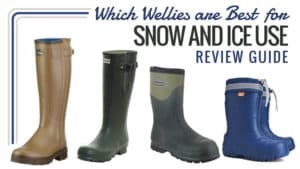 Take a look at the reviews for these funky wellies. These rubber, waterproof, boots are made from 28 pieces of leather that have been put together. They are comfortable and relatively durable, and the textile lining inside the boot will help keep your feet warm during the winter. However, the shaft of the boot can be quite tight, as well as the foot and ankle areas, so it is more recommended for those with slim legs and calves. There have also been a few occasions where the boot has torn or spit after only a few months of use. 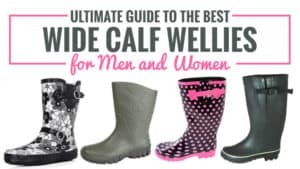 However, the shaft of the boot can be quite tight, as well as the foot and ankle areas, so it is more recommended for those with slim legs and calves. There have also been a few occasions where the boot has torn or spit after only a few months of use. If you are looking for a sleek and stylish funky men’s welly then the Hunter Original is probably the one for you. 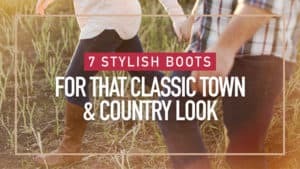 With a sturdy design and a good build, these boots will last you the festival season but are also great for things like waking and general use. For a boot that is comfortable and has a good grip, the Hunter Originals have everything you need from a trusted brand. A French boot, Aigle offers a smart look and chic design. With their boots for men and women in increasingly popular demand, it’s not long before their kid’s wellies start trending too. The Aigle Lolly-Pops are priced at around £20, making them an affordable option while still giving your children the style and comfort they deserve. 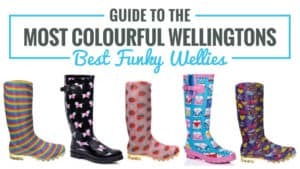 Available in four colours, the Lolly-Pop wellies are sure to please kids of all ages with their great options. These funky kids wellies are standard height and very comfortable to wear, especially with the textile lining on the inside. They are easy to slip on and off as well, which helps them to feel independent while getting ready to go out. The soles have excellent grip and tread, making falling over in the mud and harsh conditions more difficult so that they can enjoy playing outside without you worrying too much. The sole of these waterproof boots is also flexible, allowing for your child to run around without being hindered by the boot. They are durable and long-lasting. The shaft s a little narrower than most boots and does not fit well on children who have wider calves. 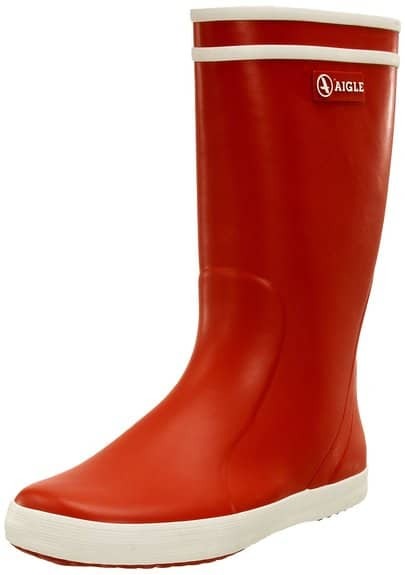 The Lolly-Pop wellies from Aigle are fun and stylish while still offering great comfort. They are priced reasonably so that you don’t need to spend a fortune to give your child the fun look and comfort that they deserve. The soles have excellent grip, and the range of colours available is sure to please and excite your child to no end. These funky kid’s wellies come from a trusted brand that produces good quality and durable boots. For kid’s, these are the best funky wellies you can buy. Best for: general use, adventuring. Supgod have a fun and funky range of women’s wellies in a number of great patterns and designs. 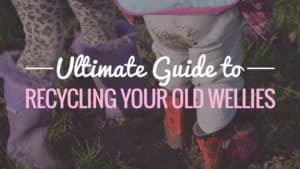 If you are searching for something cheap, cheerful, and good for light use, then these are the wellies for you. Priced at around £11, they are incredibly affordable and can fit into everyone’s budget. These fun and colourful boots are sure to make you stand out from the crowd. These funky wellies for women are comfortable and have a good grip in the sole as well as extra tread. While a pair of thick socks are advised in winter, at least you won’t be sliding around after or during a rainy walk. They have a stylish appearance and come in a range of fun colours and designs, making them ideal for festivals and general use. 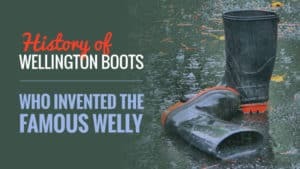 There is nothing better than a fun and practical welly at a low price, and these give you just that. 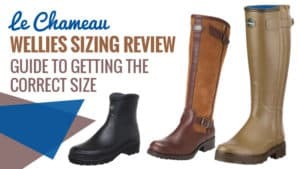 The sizing is not accurate and often it has been the case that the boot is larger than the actual foot, which is something to bear in mind when ordering. They do not come with insoles and this can detract from the overall comfort of the boot. 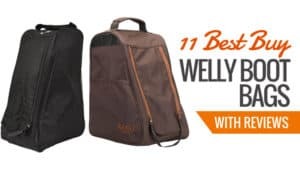 If you are looking for cheap funky wellies that are still practical and relatively durable, then the Supgod range of fun and stylish wellies is one to consider. They are waterproof and fun to wear, as well as being at least relatively comfortable. Their stylish appearance is sure to make you stand out at festivals or on walks, and the grip on the sole means you won’t be standing out for the wrong reasons. Best for: festivals, and general use. 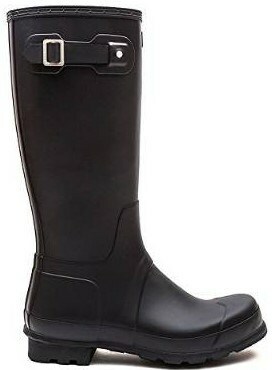 Hunter is probably the most popular funky welly boot for men and women. A renowned and trusted brand, their prices may be a little higher than most but they give a comfortable fit. 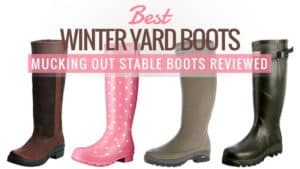 If you are looking or something a little cheaper and with a guarantee so you know what you’re buying is good, then Joules are the ones to look to for a good and practical boot that still has a lot of style. Or, if you’re looking for the kids then there are a massive range of fun boots available, from Joules to the fun and exciting Kidorable. 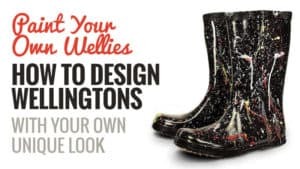 Generally, your fun and funky wellies should last you some time. 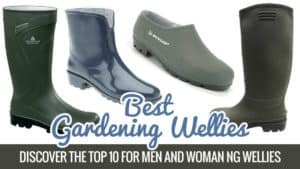 It is unfortunate, however, that funky wellies for men are harder to come by. 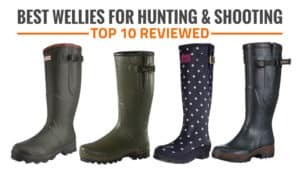 Of course, there are Hunters here and the fun and reminiscent frog wellies, but there is nothing as diverse and colourful as the children and women’s ranges. 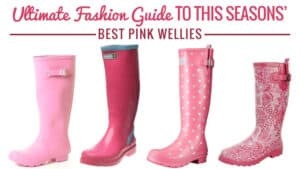 Hopefully in the future we will see a rise in fun and colourful wellies for men from all brands, and it is a shame that they have to go without the joy of a truly colourful funky welly.